Our ET stations provide continuous monitoring of temperature, solar radiation, rainfall, relative humidity, and wind speed and direction. Using these measurements, an on-board program calculates potential evapotranspiration ETo using the Penman-Monteith equation. The resulting output provides hourly and daily assessments of water needs. ETo estimates are based on turf grass, but crop coefficients can be used by the station to estimate the water needs of other crops. ET stations can also provide information for other uses. Data relevant to integrated pest management, disease prediction, growing degree days, and frost forecasting are easily obtained. 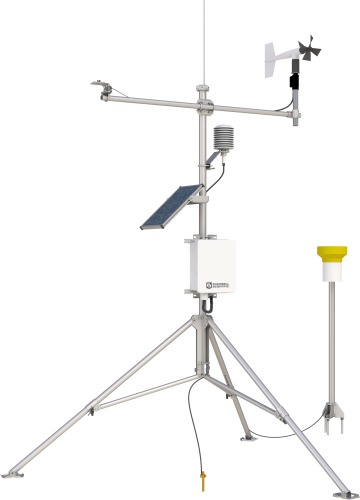 Stations can also report general weather data such as average wind speed and direction, maximum wind gusts (useful for fungicide, pesticide, and fertilizer applications), maximum and minimum temperatures, and total solar radiation. We offer both preconfigured and custom ET stations. Our preconfigured stations feature a standard suite of pre-wired sensors, quick-and-easy installation, and simplified programming. 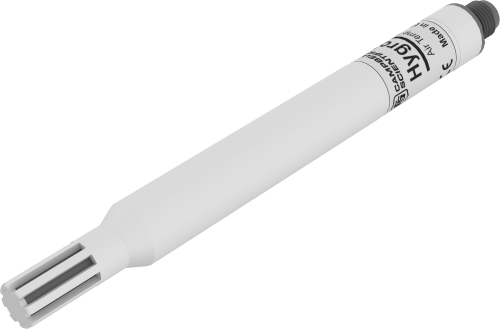 While these stations are preconfigured, they are flexible enough to accommodate additional sensors or other ETo calculation algorithms. 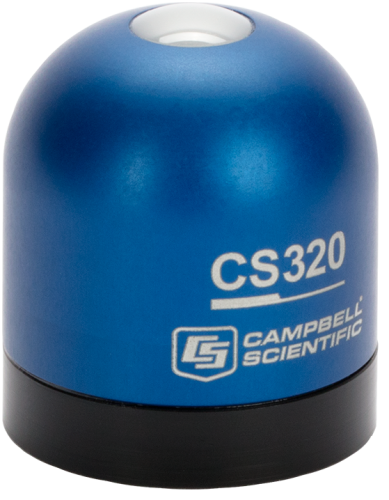 For example, soil moisture sensors can be added to provide additional water management information, or soil temperature sensors can be used to estimate pest emergence. Custom stations, typically used for research, are configured from a wider selection of components, allowing greater flexibility. These stations can be configured to measure almost any number or type of sensor and can use many different types of communications options. Voice-synthesized phone modems that can give you a verbal report of conditions are commonly used with our ET stations. For example, stations at golf courses can be used not only for water management, but to allow customers to call for a real-time verbal report of weather conditions at the course. These stations can also transmit data to a computer. Our PC-based support software simplifies the entire weather monitoring process, from programming to data retrieval to data display and analysis. Our software can automatically manage data collection from station networks or individual stations. Robust error-checking ensures that your data arrives uncorrupted. We can even help you post your data to the Internet. The following is a list of companies that have developed expertise in our products and provide consulting, installation, and other services for evapotranspiration and commercial irrigation applications.